Home Tags Posts tagged with "Tasty Map of Russia"
Recently, while writing my post on shanga, the bread roll from the Great Russian North, I came across the Tasty Map of Russia. 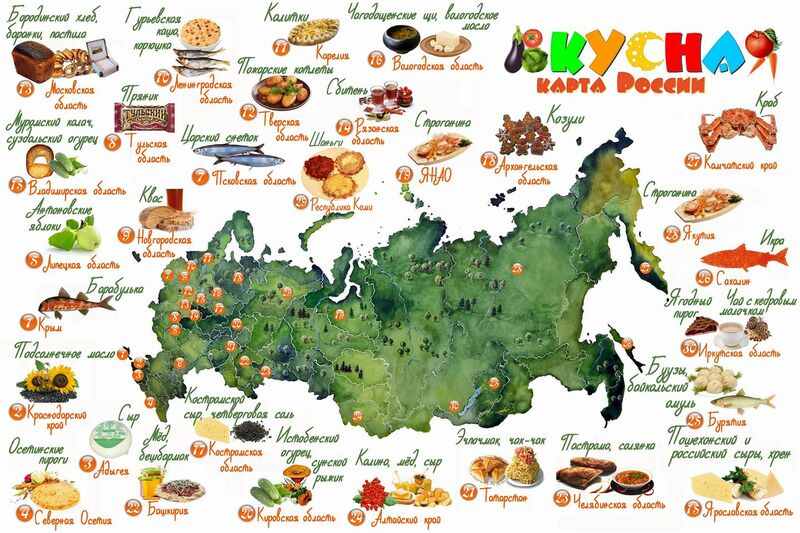 The project, started in 2012, aims to promote and develop tourism in all Russian regions through their culinary potential. Its creators had already employed a similar concept with the Fairy Tale Map of Russia, though from a touristic perspective, it presented several problems: first, most fairy tale tradition is concentrated in the western part of the country, and second, you can’t exactly travel to a remote region and expect to meet fictional characters — imagine wandering across Yakutia, which is about the size of India and one of the coldest places on Earth, in search of Chiskhon, the local Santa. 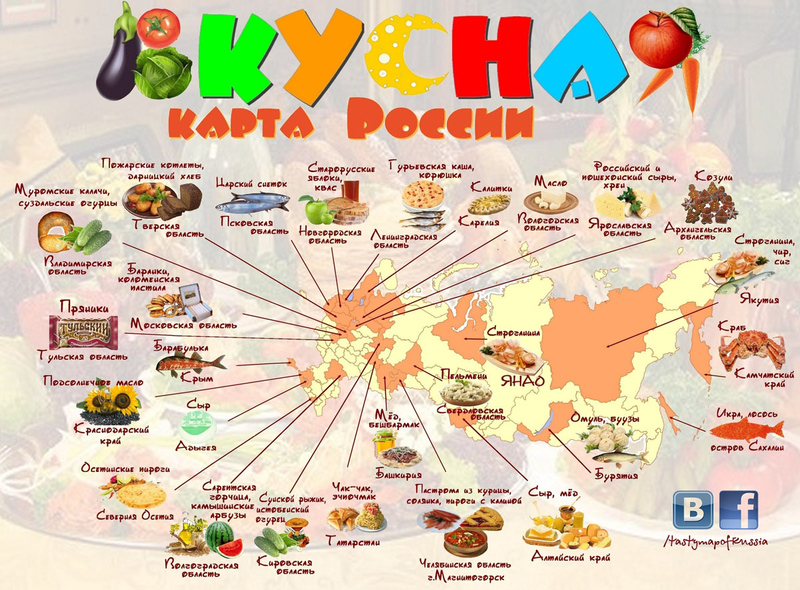 So the hope instead is that people will fly to Yakutia to eat stroganina (thinly sliced frozen fish), or to Krasnodar to swallow sunflower oil by the spoonful. Well, why not? The map currently covers 30 regions and more than 45 different products and recipes. And considering that the Russian Federation consists of 85 federal subjects (a complex mash-up of oblasts, krais, republics, autonomous okrugs, autonomous oblasts, and federal cities), there’s still work to do! From the onset, the project comes with its share of political controversy. First region listed? Why, Crimea, of course! Fostering the illusion that this is Russia’s westernmost region! And don’t expect it to be represented by a typical Crimean Tatar dish, like chebureks. Nope, the mapmakers chose red mullet! Although actually, I must say I’m glad to see red mullet being mentioned, as I’ve been citing it as an example of Eastern European cuisine’s hidden potential for almost a decade (and there is indeed red mullet to be had in Crimean restaurants). Still, I feel like we’re rewriting both history and geography a bit too much here. There’s also more work to be done for the Tasty Map to be taken seriously. Number 6 is missing on the most recent map, while number 15 appears twice. I kind of wish dishes and products appeared on separate maps, and really, they could make an effort to add more entries in both categories. If one were to believe according to the current state of things, the tiniest European country could boast more local specialties than the whole of Russia! In the meantime, we’ll have to make do with a disorganized map whereupon the authors spent 5 years sloppily inserting 30 culinary references… At least (if not at last), I’m making their work available in English for the first time.